Wisdom of Life. 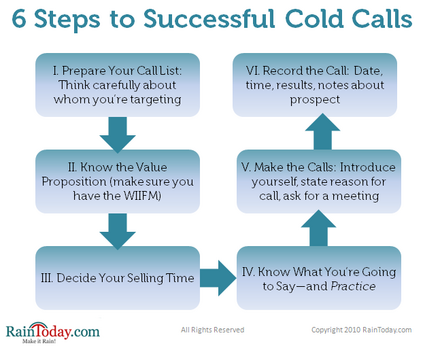 : The fear of making cold calls on telephone.. Most agents find difficulties in making cold calls on telephone. What about me? Yes! I face the same problems like the rest as well. The best way to overcome the butterflies in the stomach, when attempting to make the calls is made the easy one first. Warming up is important. No marathon runner would run without the warming up first. Even Thomas Cup's players need the sparring before the actual play. Yes! The warming up before the actual run or play could build better confidence later. So the next time you have the fear to call someone you don't know, call to speak to someone you know first. The friendly chat and conversation creates and develops energy and enthusiasm in you. In turn you would find it easier to speak to anyone later after this call. The best way to find out whether it works is to try it yourself. Please let me know the outcome.